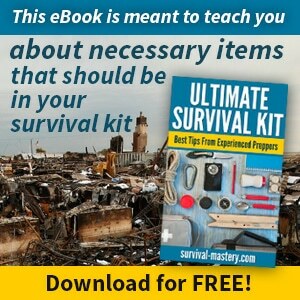 If you’re an outdoorsman that frequently goes on hikes and adventures in the wilderness, chances are your prepping and survival knowledge is largely based around these conditions, and that’s smart. While city critters need to worry more about alternate routes and home security, those of us that spend more time in the great outdoors and live in rural areas have to focus on more basic essentials. Compass use is one of those basic fundamentals, and one that has largely been left by the wayside. 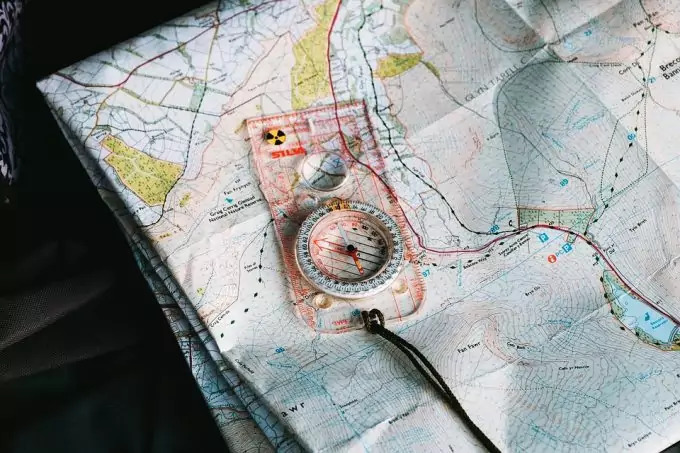 In the wake of high tech navigation systems and GPS technology, most of us can barely read a map these days, let alone properly use a compass. But the reality is, batteries die, circuits fry, and you just can’t always count on these tools to be there, especially in the rugged outdoors. The ability to use a compass and read a map should always come before your ability to press buttons and install software. Though this is a broad reaching topic, and practice in the field will trump any education you can get online, here we’ll go over some of the basics of how these tools work, and how to use one to find your way home. Compasses are one of the simplest and most effective navigation tools in the world, but also one of the oldest. 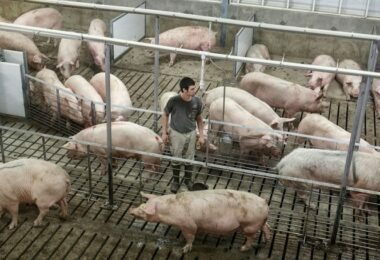 They were first used all the way back in the 11th century in China, and made their way to Europe in the 13th century. Over the course of the past several hundred years, a number of innovations have been made to this simple device, but the basic functions still remain the same. 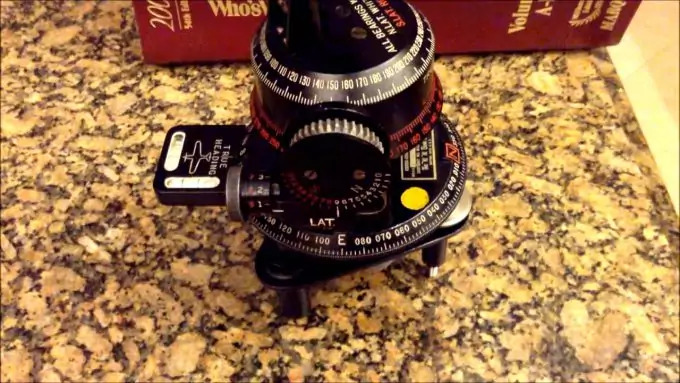 Understanding how these tools work will help you understand how to read your compass. The compasses today most of us are familiar with are the plastic orienteering compasses. These are liquid-filled and sit on top of a base plate, with markings around the edges to assist with map reading (scales and a small ruler). There’s also usually a magnifier built into the base plate to help with reading maps. The arrow pointing out from the compass along the baseplate is your direction of travel arrow, and is used to guide you. Many compasses also have what’s known as a compass rose on them to indicate direction and help establish the degree of the angle for a heading. Artful and ornate, this design dates back centuries ago, to the advent of the European style compass. Though not integral to its function, they are nonetheless a helpful visual aid, and a beautiful feature, particularly on antique compasses. Within the housing of the compass itself, a magnetic needle floats in the liquid above lines that are meant to help with using it with latitude and longitude lines on a map. Also marked under the needle are a declination scale and an orientation arrow. Surrounding the housing is a rotating dial marked with degrees for measuring your exact direction, with 0 starting at north, and 90 at east, and so on. The declination scale is used to account for magnetic interference. Most traditional compasses work off the of the earth’s magnetic field. The thin arrow is naturally pulled toward the earth’s magnetic north pole, giving you an idea of which direction you’re travelling in. However, because they work off of magnetic fields, as you approach the North Pole, you’re likely to see a lot more interference and will have to compensate more and more for the increasing magnetic power that warps your compass’ sense of direction. Be careful to not carry things on you that will interfere with the function of the compass, particularly iron or electronic devices. Some compasses that have magnetic needles without water to ease friction may get stuck with particularly strong interference-definitely a selling point for liquid filled compasses. That’s pretty much it for the mechanics of a compass though-there’s little you need to do to ensure they work properly, except for to use it correctly and try not to create magnetic interference. If you want to know which is best for you, take a look at our reviews for the best compass. The earliest compasses were actually made with magnetized stone, but technology advanced rapidly after the principles behind this new invention were better understood. Since then, human innovation has in some ways made the manual compass seem obsolete to many. However, we’re preppers, and we’re all about fail safes. Here are a few different types of compasses, for when GPS just can’t seem to get a signal. This is the first type of compass ever made, and is essentially a magnetized piece of material. Suspended in a way that keep friction to a minimum so that is can move freely with the direction of magnetic north. The design of these compasses is a little more complex, and involves some engineering and physics laws that I don’t have the knowledge to really properly explain. However, these are the compasses you see that are spherical in shape, typically constructed as a freely moving round orb, suspended in liquid, beneath a clear cap so that the directions can be seen. It was invented for mariners, as it is able to accurately give an indication of true north-a necessity for those travelling over vast and unforgiving oceans. This may be one that you have never seen before. Resembling a microscope more than a conventional compass, this type is used for those travelling in the extreme north or south ends of the earth, where magnetic interference from the poles is too severe for the use of a magnetic compass. It requires a lot of information, like longitudes and latitudes, but generally uses the positions of celestial bodies to give directional information. 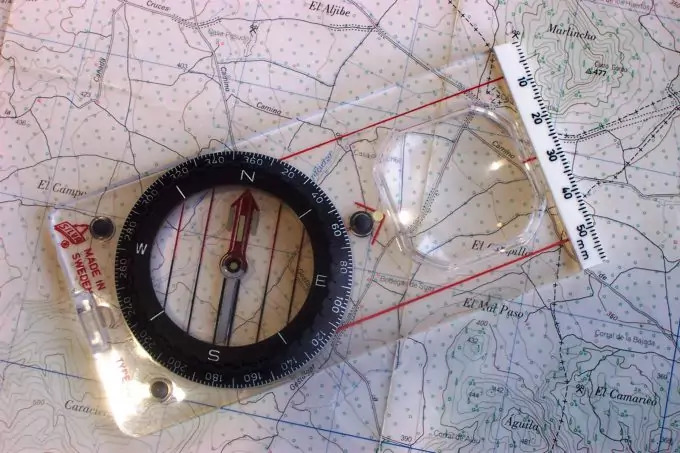 Also known as the orienteering compass, this is one of the most common manual compasses used today, and is the one I’ll be using to explain the way to use a compass in this article. It gets its name from the rectangular plate that the compass housing sits on. This place is typically clear, and features several markings and measuring tools to assist the user, particularly with application to maps. This is a type of magnetic compass, typically used in older designs. Basically it just indicates that the space where the needle is suspended is not filled with water. In well made compasses, typically the needled rests on a finely crafted jewel base that allows for minimal friction, even when approaching the poles. This term simply indicates that the magnetic needle is suspended in liquid for minimal friction. 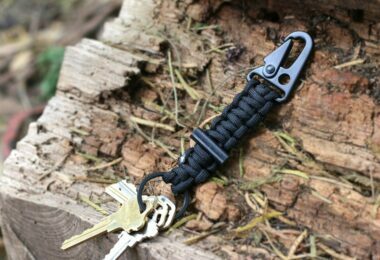 These compasses, like their dry counterparts, can come in any shape and size, but are generally more reliable in terms of the needle not getting stuck. 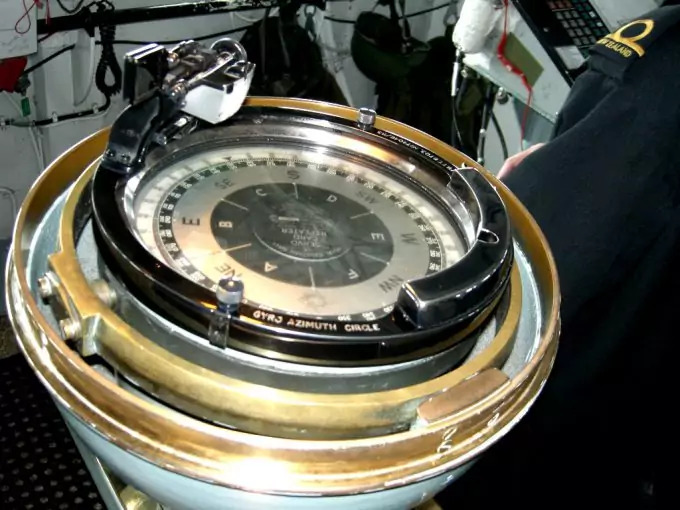 And finally, even though it is not a mechanical instrument, I think we can include the new technology available today – the electronic compass. These are included in gadgets we can wear (watches for instance) and are pretty accurate. Still, you must keep in mind that they require some sort of power, usually based on batteries. If you are interested in learning more, you can take a look at our best compass watch reviews. Reading a compass can vary a little depending on the type you have, but the basic fundamentals are the same. The most important thing to remember is that the arrow floating in the middle always points north. Whether you have a direction of travel or not if your arrow is pointing 90 degrees to your right, then you’re facing west. Visualize the compass rose, with the various degree points around the circle, and you can get at least a general heading. For more advanced, modern compasses, the features can do more to complicate the process, but also provide you with more information and tools to travel more accurately. To get started, hold your compass flat in the palm of your hand at chest level. If you’re using an orienting compass, line up the floating magnetic needle with the orienting arrow by rotating the dial. This will give you a picture of your directional surroundings. To determine your heading, or the direction you’re facing, look at where the direction of travel arrow intersects with the degrees on the dial. And there you have it-you have an accurate heading, like some fancy explorer. But the fun doesn’t stop there. As you’re likely aware by now, there are two different kinds of north. There’s true north, which points directly at 0 degrees and follows longitude lines on the map. Then there’s magnetic north, which falls at an angle with the earth’s axis. 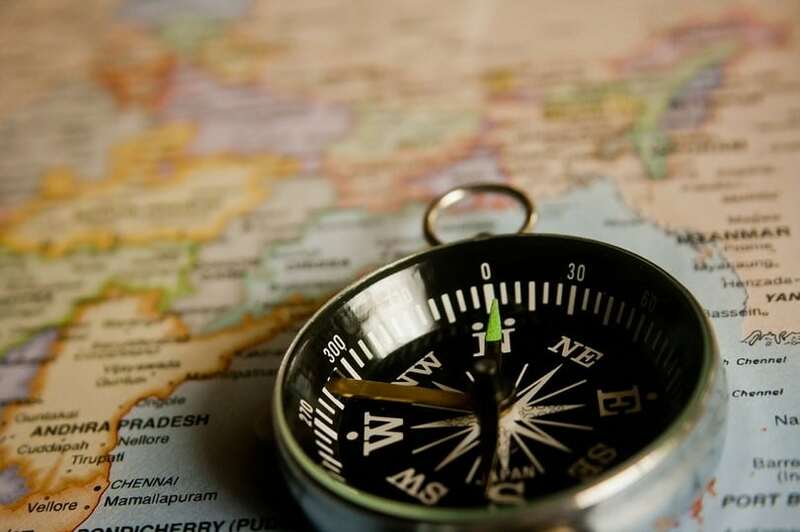 To stay on track with your map, you’ll want to compensate for this difference, as your compass needle will always point to magnetic north, not true north. 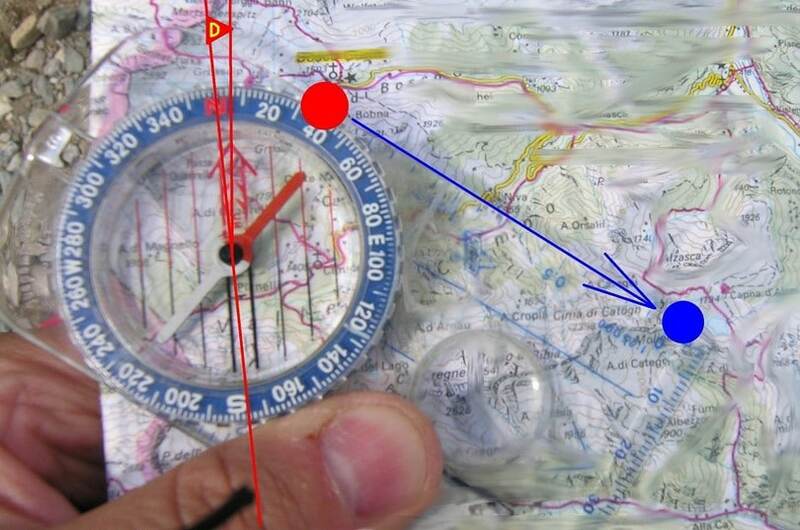 To get a more accurate reading from your compass, use the declination scale on your orienteering compass. With this scale, you can adjust to true north, but to know the angle of adjustment you’ll need, you’ll have to study a magnetic declination map. These maps are marked with lines that show you how much of an angle you’ll need to adjust your north reading by, depending on where you are. In the US, the line runs from north to south through the Midwest, roughly between Wisconsin and Illinois. Those located east of that line will have to adjust their compass a few degrees to the west, and those on the west side of the line will have to do the opposite. The further you are from the poles, however (as in the closer you are to the equator), the less adjustment is needed. 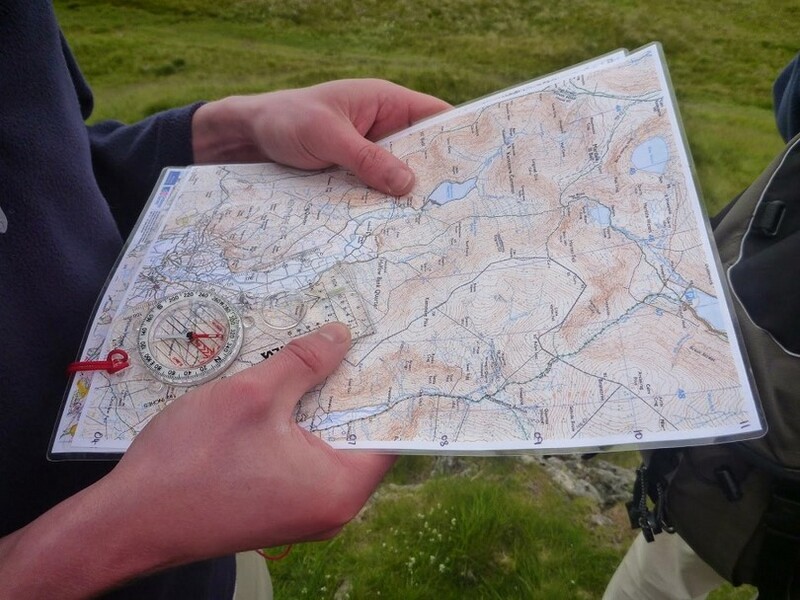 If using the compass on a map, particularly with orienteering compasses, you can simply lay them flat on top of the map, and use the longitude lines laid into the compass to get an accurate reading-which brings us to our next topic. 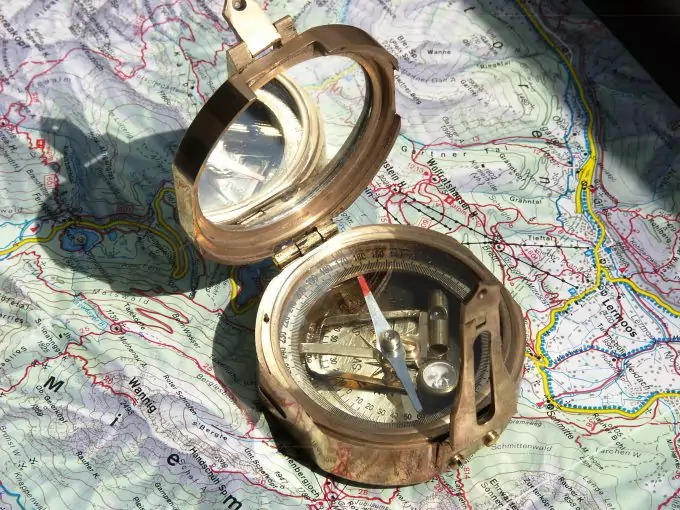 If you have both a compass and a map, you don’t have just a directional heading, but you can map a route based on geographical features, find specific locations, and generally get a better idea of where you are. However, reading a map isn’t just as simple as looking at it-there are a lot of special symbols and measurement systems in place that you’ll need to know how to use. It may seem tedious and unnecessary, but understanding how to read a map accurately will help you with more than just understanding proximity, but calculating distances and selecting the fastest, safest route to a location. There are several different kinds of maps-topographical, political, relief, and sometimes combinations of these as well. They all offer different views of the same space, so that the image isn’t overly complicated and difficult to read. Let’s go over some of the basic parts of a map that will help you with using your compass on one. Latitude and longitude lines – These are the lines that run horizontally and vertically on a map, and are used with giving exact locations in coordinates. This is the system used by GPS technology for triangulation. Scale – Since the images in a map are set to a certain scale, and that scale will differ depending on the size of the map itself, scales are useful in estimating distances. Most orienteering compasses come with a small ruler for exactly this purpose. Typically, an inch or a centimeter will be set to a mileage equivalent, and by measuring the distance between two points, we can calculate a pretty accurate distance. Key – Several symbols and markers are used on maps, and these can differ greatly from one to the next. A map key will tell you what blue versus green lines indicate, what a small black triangle means, etc. Contour lines – Sometimes these are included on topographical maps, but there are always a part of relief maps. Contour lines are used to indicate elevation changes, and are absolutely crucial in understanding for the navigation process. Typically, contour lines follow a constant level of elevation, so if you were to walk along that line, you would neither ascend nor descend in elevation. The most important thing to remember when examining contour lines on a map is that the closer the lines are together, the steeper the slope is. Knowing this can save you from planning a route that places you at the base of a sheer cliff. Often times, maps will also have index markers on every fifth or so contour line, to give you an idea of how much the elevation is changing. 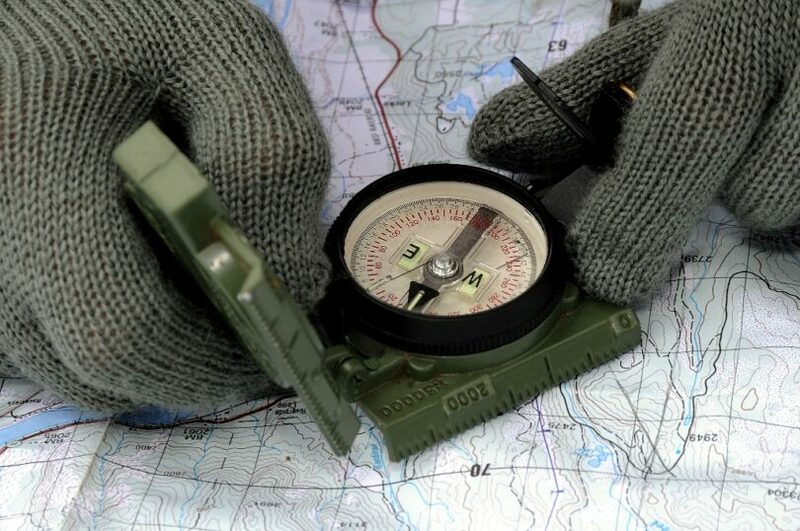 Understanding these basic fundamentals of map reading will prepare you to use your compass in conjunction with one, and make you a competent traveler. So, if you need more guidance, we have an in-depth tutorial on map reading that you should not miss. With your understanding of how compasses work and how to read a map, it’s now time to combine that knowledge. Keep in mind that almost all maps are laid out with north to the top, and south to the bottom (if you’re not sure about the map’s orientation, there’s often a compass rose on the map somewhere to indicate direction). To get started, find a flat, level surface to work on, and place your map on it, with the compass on top. Once you know which direction is north, align the map so that it and the compass are in sync with their directions. From here, how you proceed is largely dependent on the features of your compass. If yours has a ruler on the end, use it to calculate distances. If you’re familiar with the magnetic declination zones, or better yet, have a map of where those lines are located, you can use it in conjunction with your other map to adjust your compass to compensate for magnetic north. Though this may only cause a variance of a few degrees, over the course of several miles it can put you way off course. If you can compensate for declination, then do it, particularly if you’re traveling long distances and are far from the equator. It’s a sad reality that in today’s day and age very few people know how to use a compass. Even sadder is that a shocking number of us don’t even know how to use or read a map! While electronic navigation has streamlined our travel plans (and no doubt gotten us out of some hairy situations), it’s also created a society that is completely dependent on them. The problem with this is that technologies fail all the time. 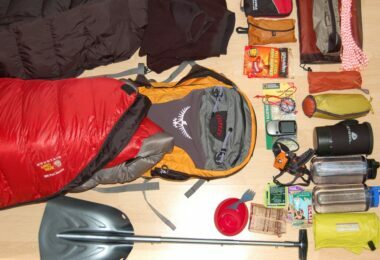 Servers crash, phones break, GPS signals are lost, and without these gadgets or any knowledge of orienteering, we’re completely in the dark. 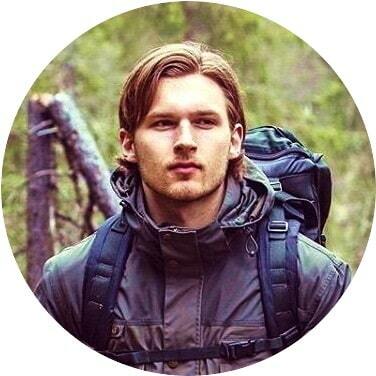 Being able to use a compass and read a map shouldn’t just be an interesting hobby, or something you take about as seriously as Sudoku, but a survival skill that you actively and regularly practice. The more you do it, the more familiar with it you’ll become, and who knows, one day you might just be comfortable enough to leave the TomTom at home. How to Sight in a Rifle Scope: Eyes Wide Shot!